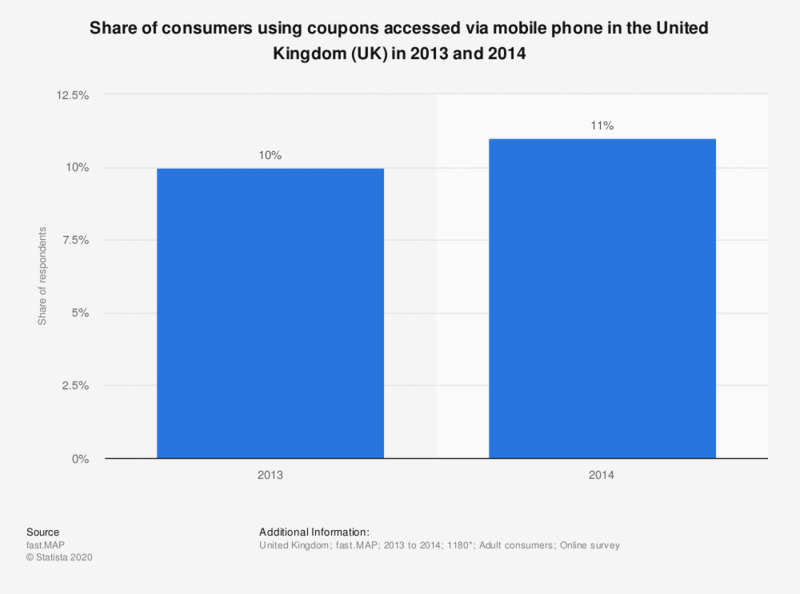 This statistic shows the share of UK consumers who have used a coupon accessed via mobile phone in the last 12 months, as of surveys conducted in 2013 and 2014. Of respondents, 11 percent had used mobile coupons in 2014. The original survey question was phrased by the source as follows: "Have you used these kinds of promotions in the last 12 months? - a coupon accessed through your mobile phone"
* 2014 survey; n (2013) = 1072; n (2012) = 1140. Number of respondents in 2011 not given. Surveys were conducted during July and August of each year. Figure for 2013 taken 9th report edition. How do you usually receive promotional offers and coupons for restaurants?